Happy weekend! Today we are in NYC for a stop on The Pretty Dish book tour! I’m signing books at MacKenzie-Childs at 11 today and I can’t wait to see some of you! Spending the last few days in NYC with kids sure is different than it has been in the past, but it’s been super fun. If you haven’t got your copy of The Pretty Dish yet, it would mean so much to me if you would order one! And don’t forget about The Pretty Dish book club! The Facebook group is amazing. this is real stovetop mac and cheese. !!!!! adore this pancetta and spring greens grilled cheese. 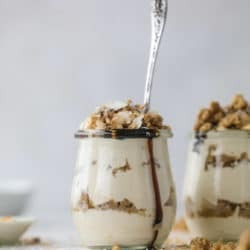 vegan coffee caramel overnight oats. deeeelish. holy cow. garlic fries with jalapeno and cilantro. smashed white bean salad tartines. love this idea! whoa… chewy citrus poppy seed cookies. yum. craving these kale and ricotta stuffed shells. I saw that real stovetop mac & cheese! Yum! Here you will be glad to know that here we are having the best gaming portal free gin rummy online games which will allow you to enjoy these games online without any type of registration or downloading process.